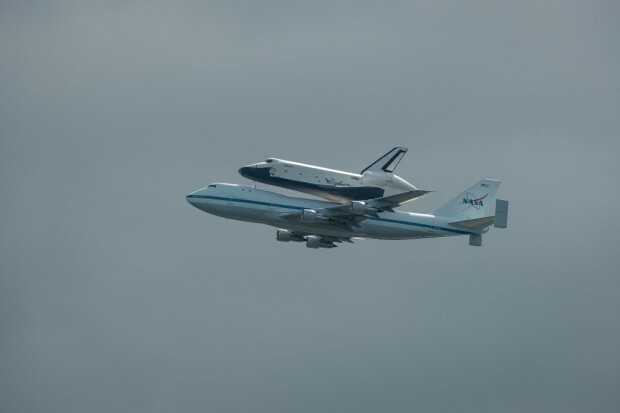 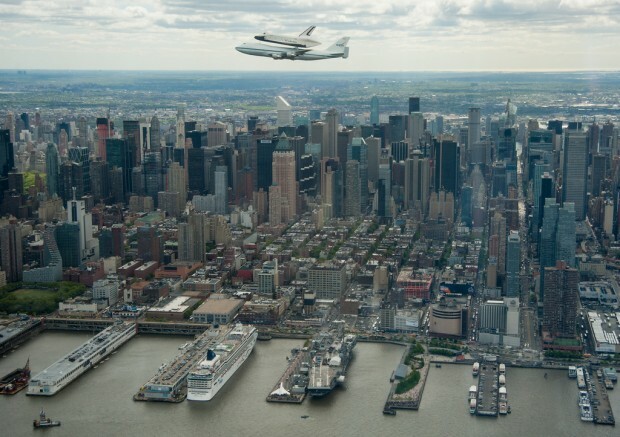 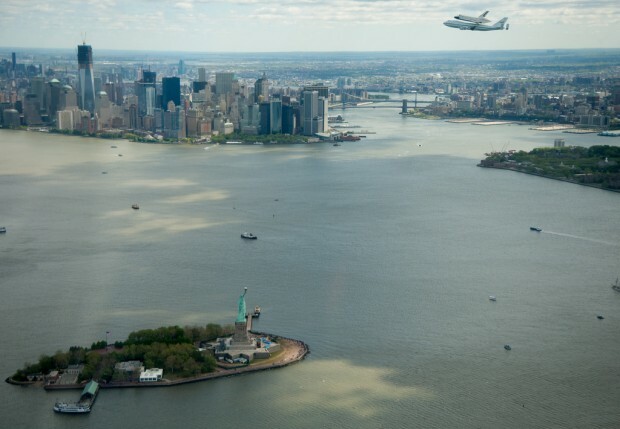 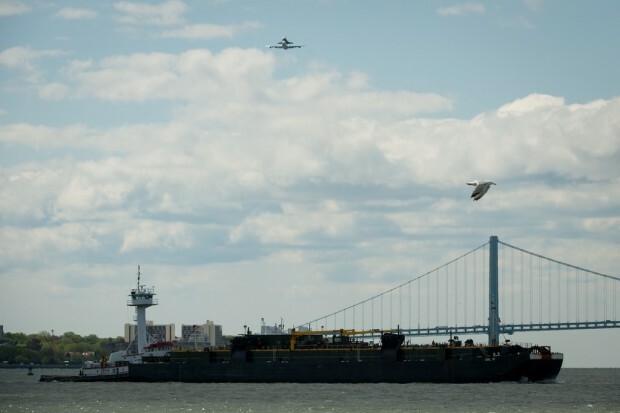 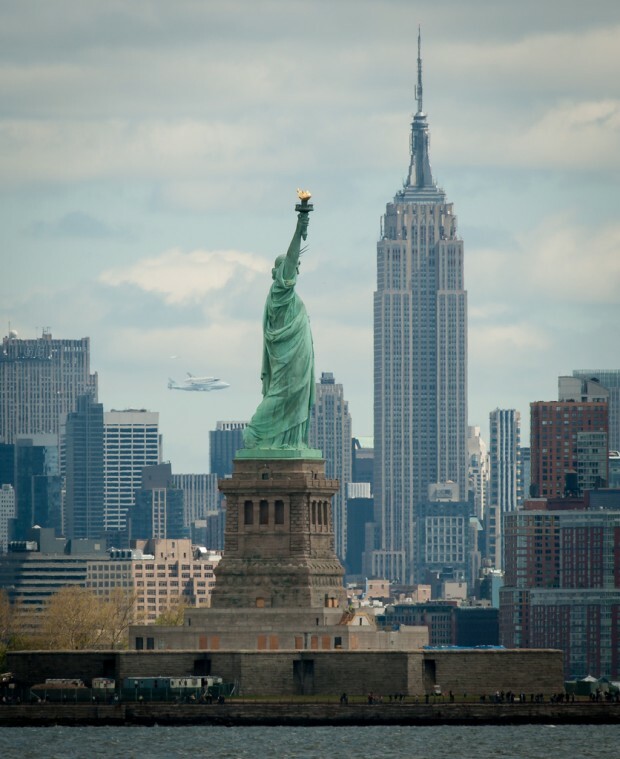 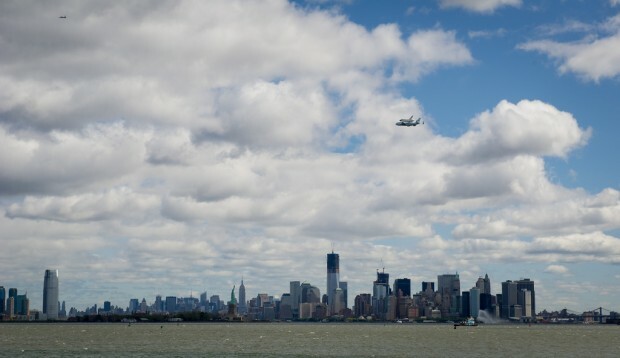 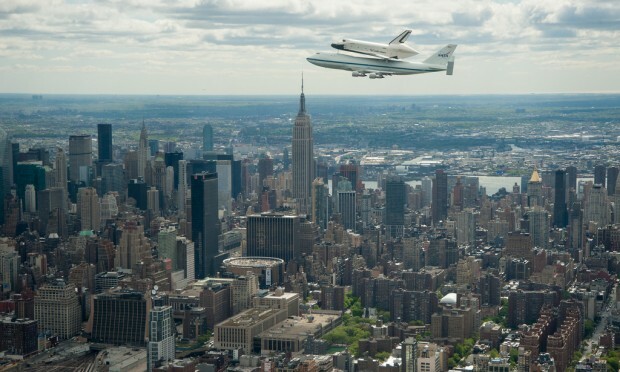 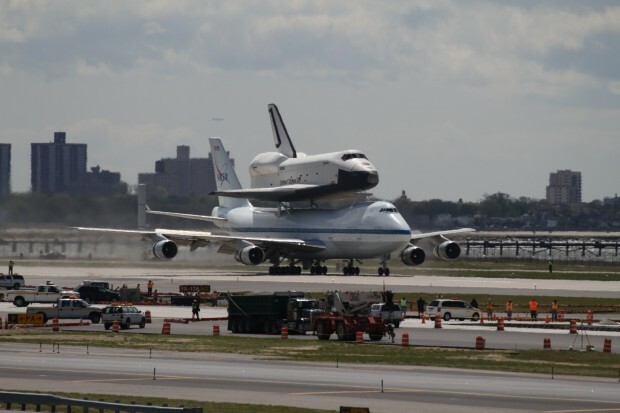 Photos: Hey, Remember When the Space Shuttle Flew Over New York Last Week? 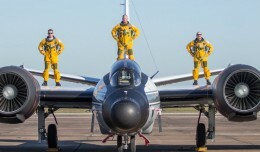 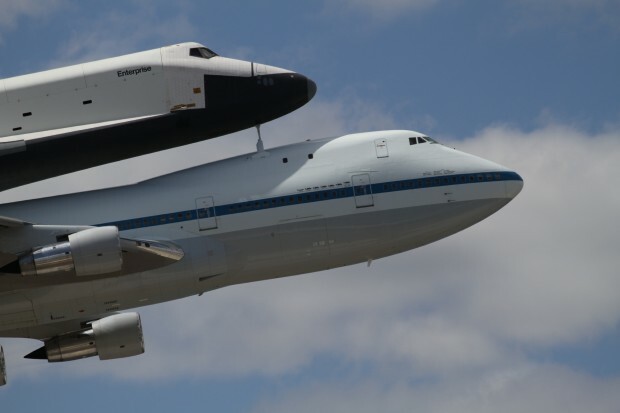 That Was Cool! 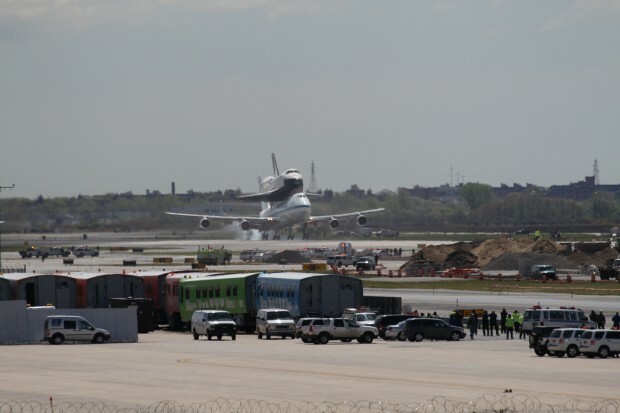 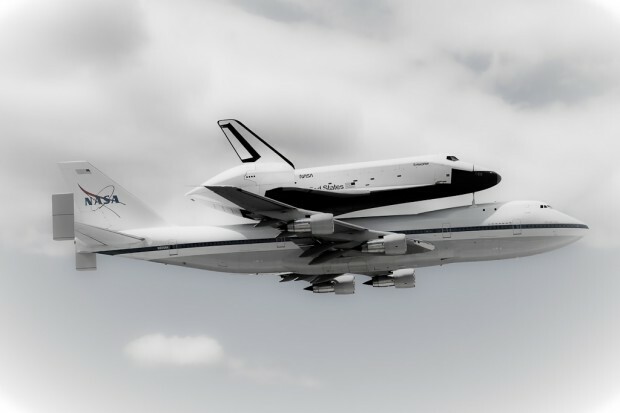 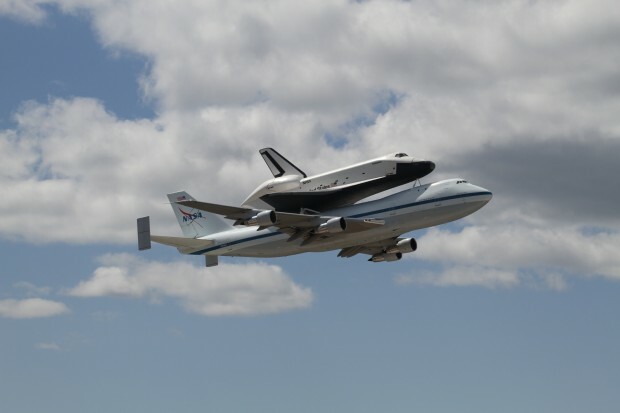 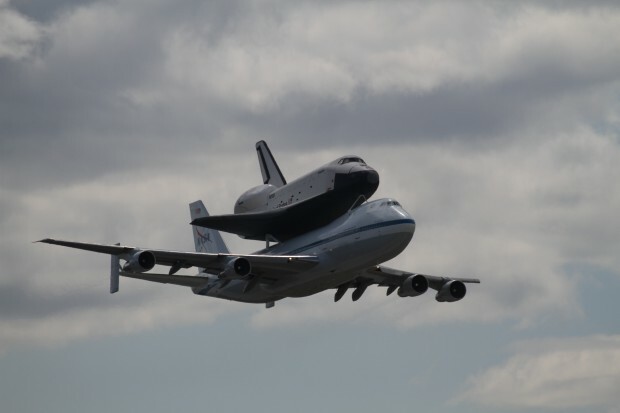 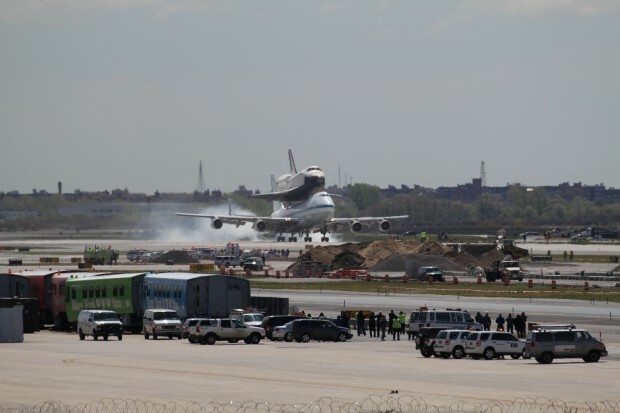 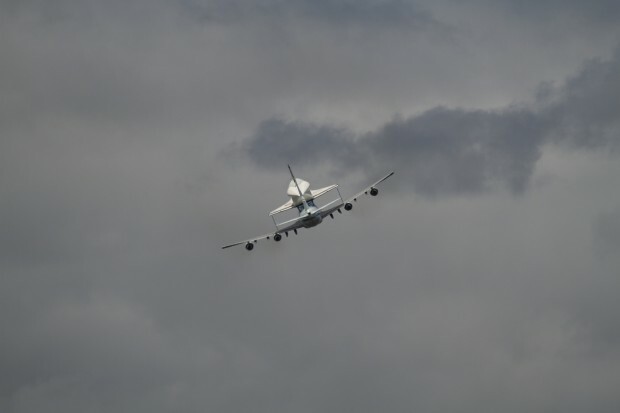 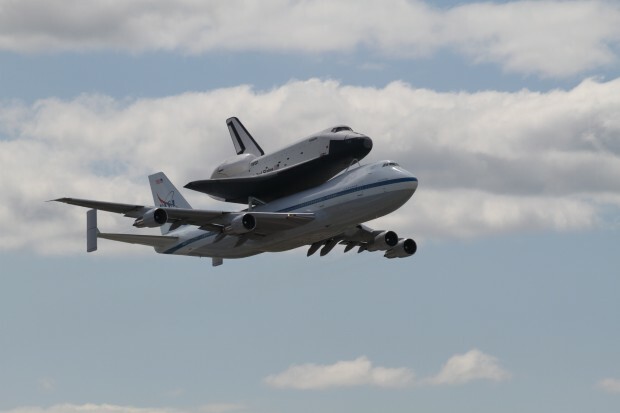 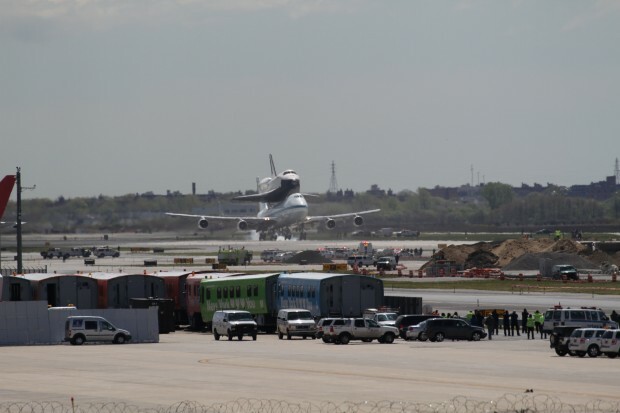 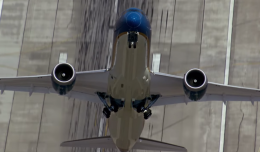 We’ve finally recovered from our Space Shuttle Enterprise-arrival hangovers to publish some of our favorite photos of the landing and the flyovers. 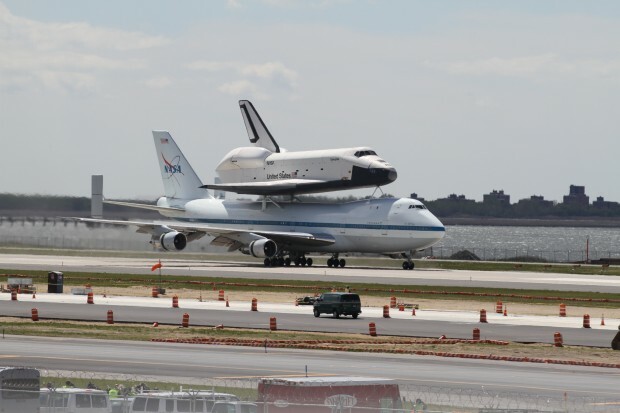 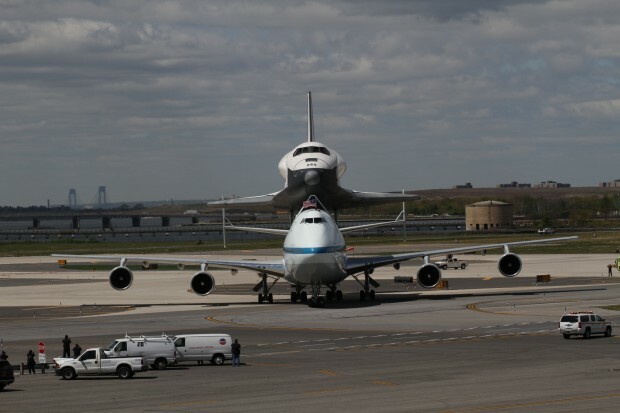 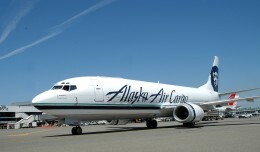 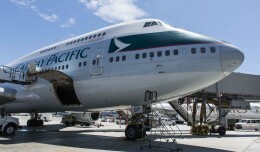 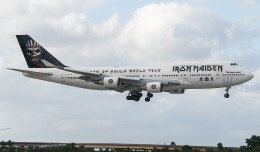 Note: They are still publicly viewable at JFK from the road next to the hangar where they are being stored. 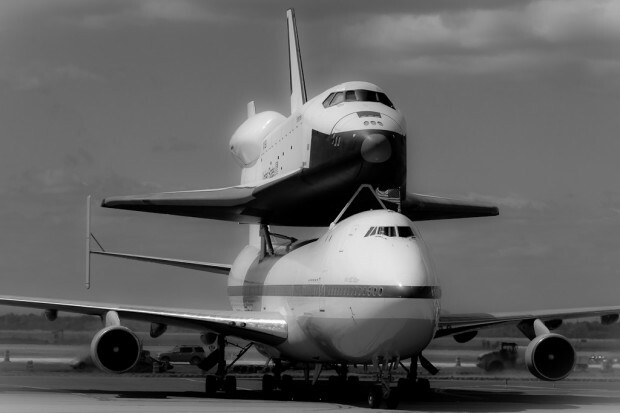 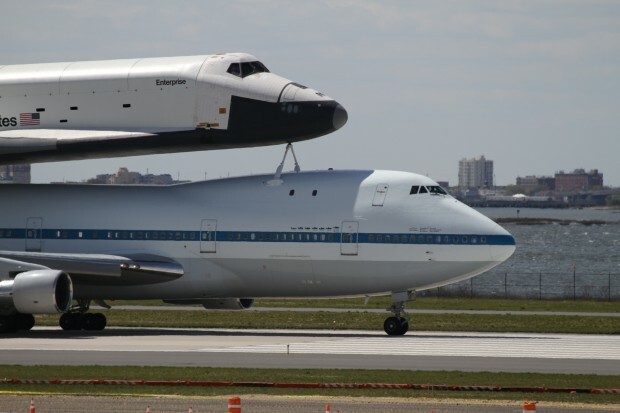 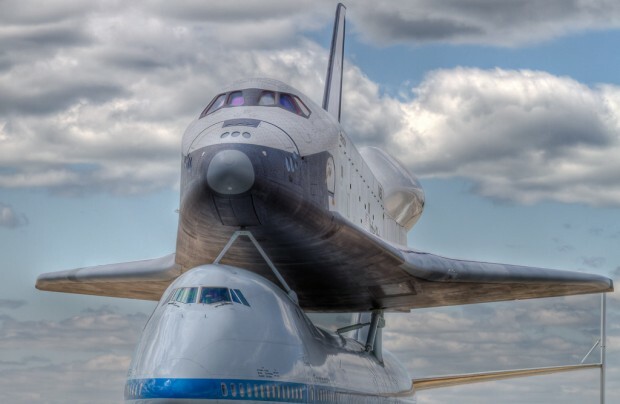 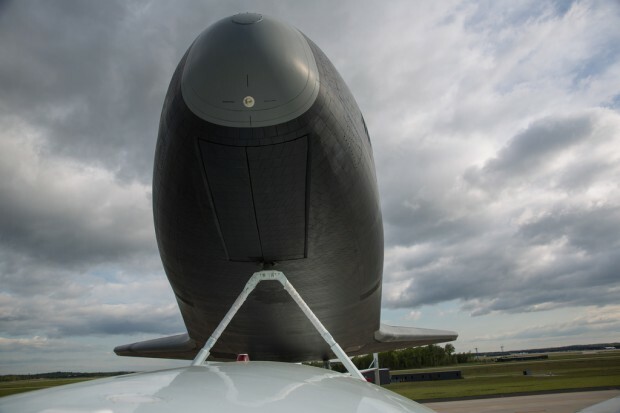 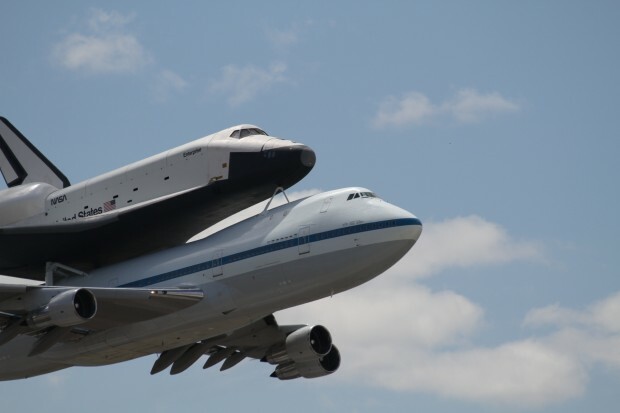 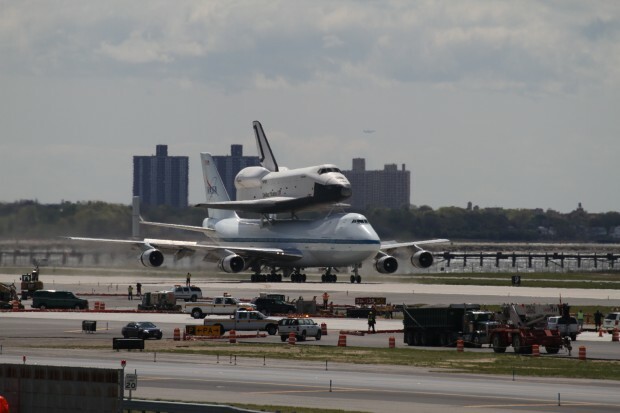 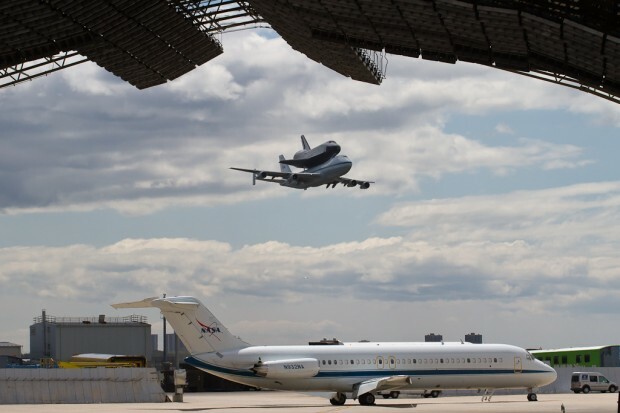 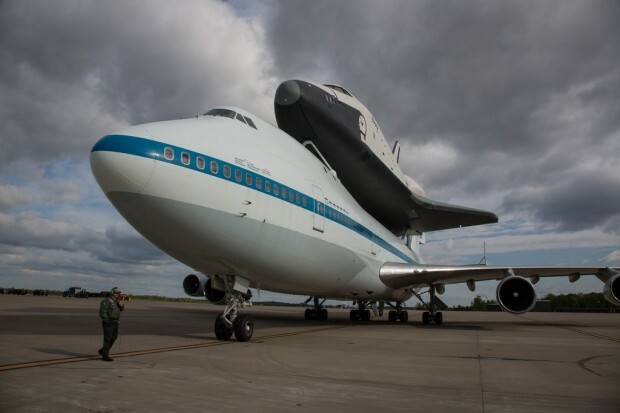 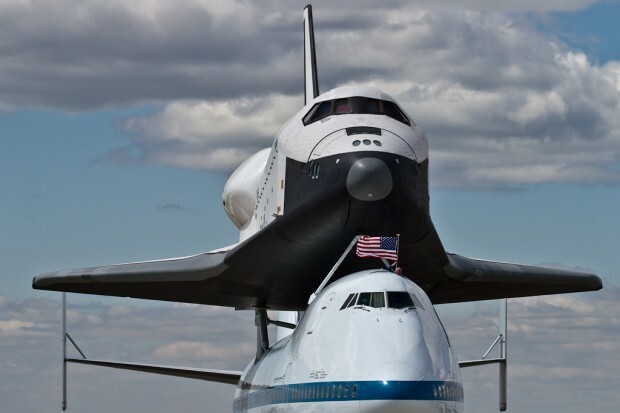 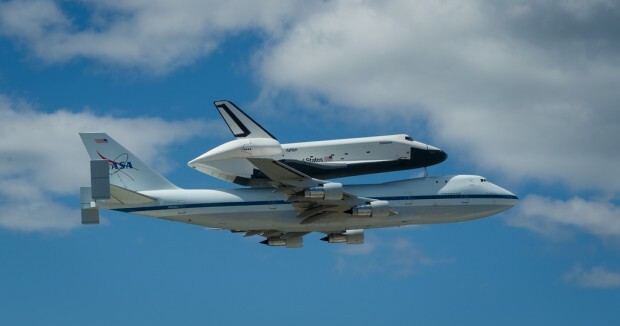 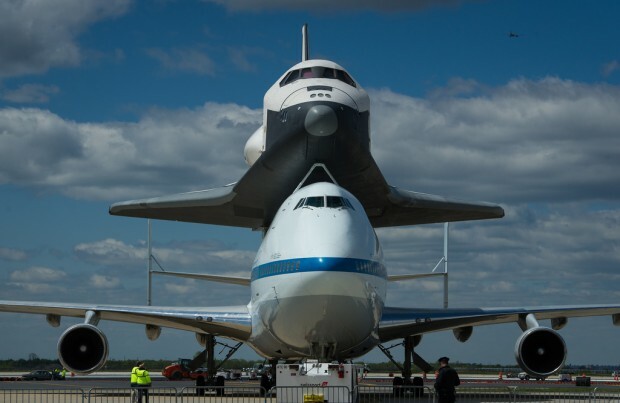 Enterprise‘s tail is just a little too tall to fit all the way into the hangar, so it is sticking out a bit, along with the Shuttle Carrier Aircraft. 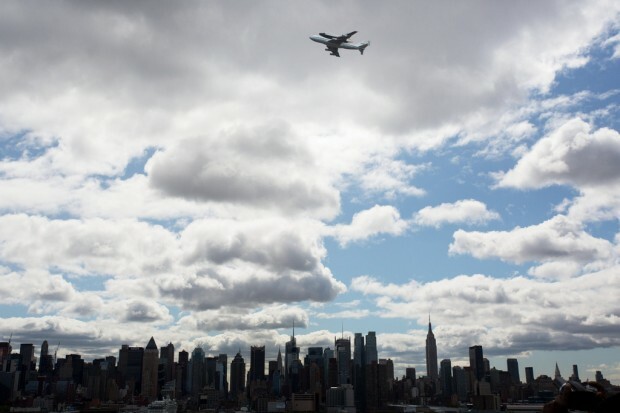 They’re visible from the Van Wyck Expressway or the airport’s South Service Rd. 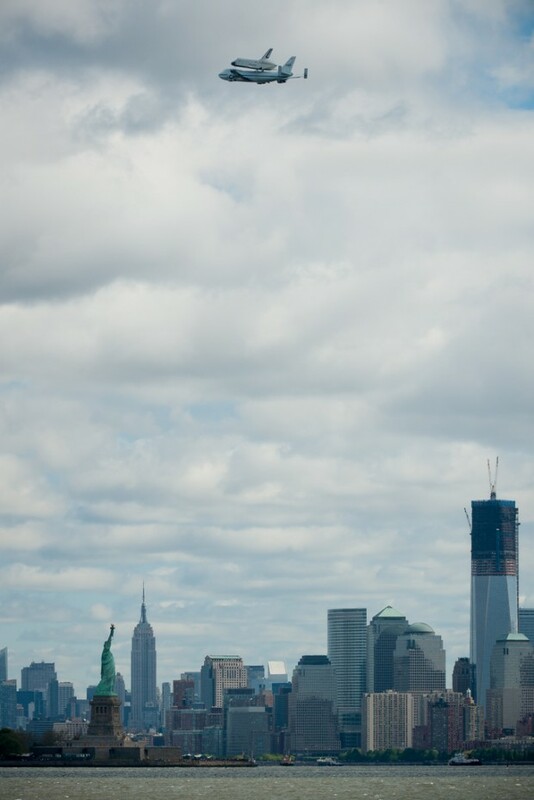 Check out this map to help you find your way. 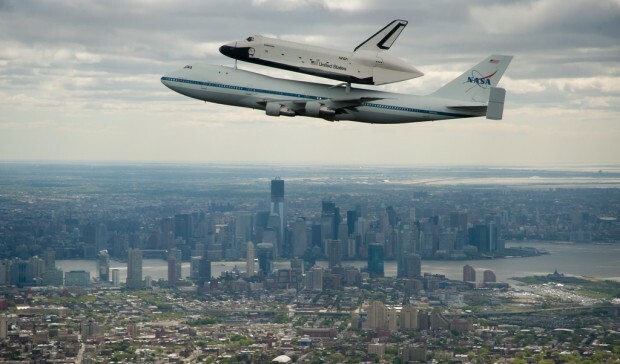 And don’t stop on the Expressway to look…it’s quite dangerous. 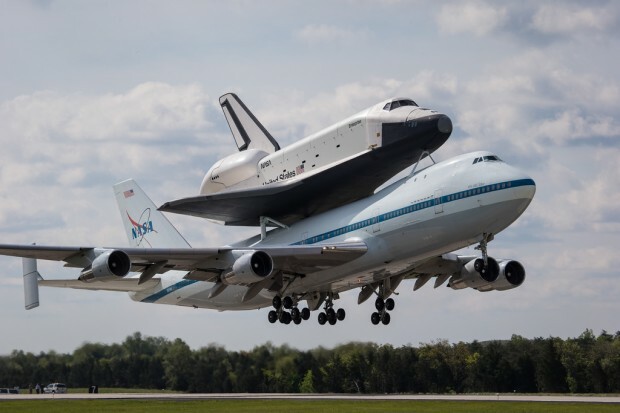 Be sure only to stop in a safe place with a shoulder, and also don’t be surprised if a friendly police officer pulls over to tell you to keep moving.